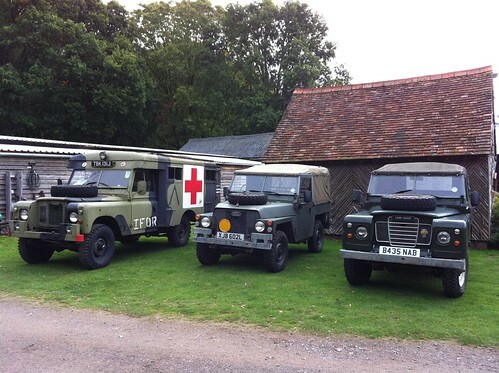 We took Frank our Land Rover Series 3 to the Tilford Rural Life Centre Land Rover Day (just in-case the blog title didn’t give it away). 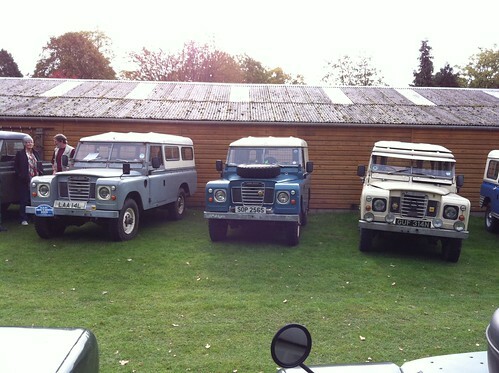 It was a meeting for all types of Land Rover – and there were some fantastic examples to be seen, but Land Rovers aside, the centre has some really fantastic exhibits to see. 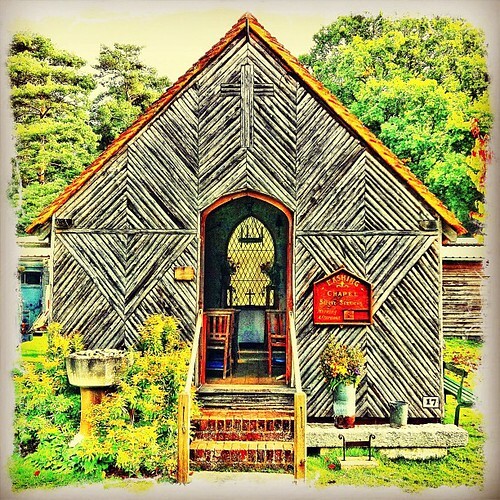 The Eashing Chapel and the schoolhouse really stood out, but the whole site is crying out for another visit soon. A play park and working light railway gave Alex some energy release, but he really liked seeing the old farm tools, prefab homes, tools and school house. One of his favourite places was an old cottage that had NO T.V IN IT! He thought it was brilliant! The whole event was really friendly with a great bunch of people. If you needed anything all you had to do was ask – be it ideas, tools, fixes, help with Landy things – you could ask anyone. 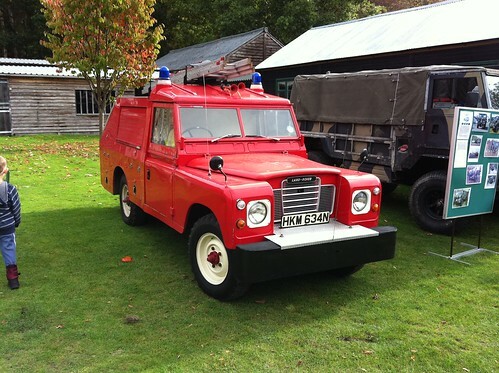 In fact we spotted one Series III Fire Tender with one of its tyres going down (I have a story about tyre problems and Land Rovers, but that’s for later). Being a Fire Tender it didn’t carry a spare tyre (they operate so close to their stations it was not deemed a requirement, so more room could be put over to fire fighting equipment). The owner had a spare wheel brought to the site, but had no jack or tools, after all, it didn’t have a spare, so didn’t need the tools. I retrieved my two jacks (a new bottle jack and genuine 70’s Land Rover worm screw jack), but the tender was sitting too low on the flat tyre – and it had water in – and it was on softish ground…. so along came other owners with tools and help. A group of total strangers helped get the Land Rover tender up, change the tyre and not one of us were asked for help, we just did it. Meanwhile at a church near where I live, some ‘do-right‘ parishioners were getting sweary over a parking space they both wanted. Make of that what you want. Church of Land Rover for the WIN. 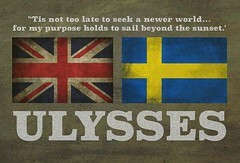 This entry was posted on Sunday, October 9th, 2011 at 10:41 pm	and posted in Family, FrankBlog, Land Rover. You can follow any responses to this entry through the RSS 2.0 feed. « Lover of Power? Power of Love? Landrover owners are a breed apart. Always happy to help as I discovered earlier this year when I broke down at the Hindhead traffic lights and two kind souls came to my aid. 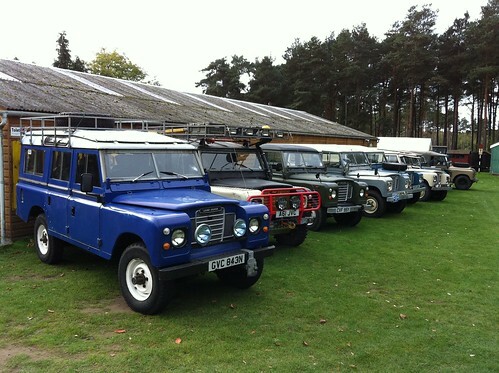 I reckon a true Landy owner knows that they’ll probably need a hand at some point… so like to get some in the bank! 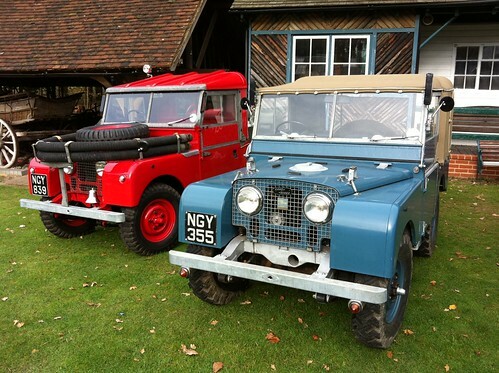 Maybe it’s just the camaraderie of Landy ownership.